The Orissa government carried on with its land acquisition drive for the Posco steel plant after police on Friday detained a prominent anti-Posco leader and took over his illegal betel vine. Seventeen others were arrested for opposing the land acquisition process. Official sources said police swung into action when Basudev Behera of the Noliasahi area in the Kujang police station area protested the district administration's move to demolish his betel vine and prevented officials from doing so. Behera, a prominent leader of the Posco Pratirodh Sangram Samiti, the CPI-backed body spearheading the agitation against the South Korean steel major, was taken to Kujang police station as he refused to accept a cheque for Rs 2,99,000 for his betel vine. Police also arrested 17 others, 10 of them from Behera's family, for opposing land acquisition for the steel plant, rehabilitation and resettlement officer Surjit Das said. land for the purpose of setting up the plant. The administration was carrying out its land acquisition work after Behera and others were shifted to the police station, Das said. Meanwhile, PPSS activists have renewed their opposition to the land acquisition process and put in place round-the-clock guards at villages like Dhinkia and Gobindpur, considered as the epicentre of the anti-project activity. As the administration was gearing up to enter Gobindpur village in two to three days after completing land acquisition in Gada Kujang panchayat, the PPSS had activated its opposition. "We will certainly oppose them (administration), if they touch Dhinkia area," PPSS president Abhay Sahu said. The district administration of Jagatsinghpur, however, downplayed the threat issued by the PPSS. 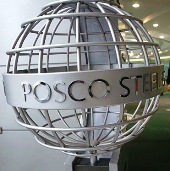 "The people from their area have volunteered to give land for the Posco project," a senior official said.